to supply their customers with a level of quality above expectations. are headquartered in Stara Zagora. Members of VIDEOTON Group, they are among the largest Contract Manufacturers in Bulgaria, mainly in the field of Plastic Injection and Compression Moulding, Electromechanical Assembly and Electronics. 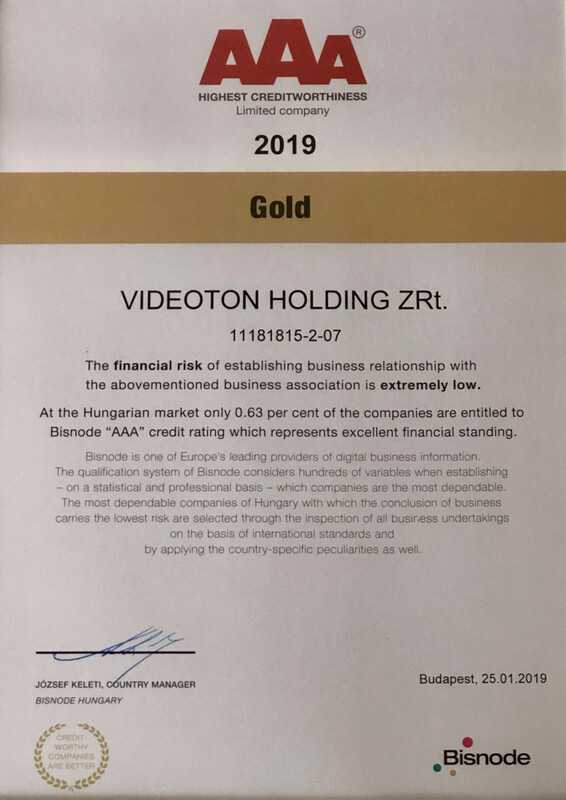 The companies are owned by the AAA-certified VIDEOTON Holding ZRt., Hungary - in TOP 10 of the most significant independent Electronics Manufacturing Services providers in Europe and a stable player in TOP 30 worldwide in this global and dynamically growing industry. VIDEOTON companies in Bulgaria have the adequate competence to provide all technology-related background services in the design, engineering, manufacturing, test solutions, IT expertise, network services and logistics operations. The network of high quality facilities, the wide range of machinery & equipment and know-how used allow high quality, high added value and high volume production. Our complete background industry culture provides the customers with the resources, technology and capacity to optimize their operations. It is the policy of VIDEOTON Bulgaria companies to supply their customers with a level of quality above expectations. This service exists at all levels, from initial customer contact to completion of service.